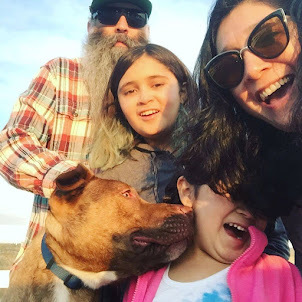 *This is a sponsored post in collaboration with Kleenex and Latina Bloggers Connect. I am being compensated for this post. Cold season is upon us. Around the house there is a little of sniffling and nose blowing. When my kids are sick I do my best to make them comfortable, happy and warm. This means lots of blankets, soup, crackers, and cartoons. I will usually crank on the humidifier. I also lather their chest with menthol rub. Just like my Mom did for me when I was sick. My girls are not the cuddly type EXCEPT when they are sick. It's horrible but I take full advantage of this. I will cuddle with them, even let the 2 year old fall asleep in my arms. Sure I will most likely come down with their bug, but the day or so of snuggling with my babies is worth it. I don't get sick too often but I can remember this one flu that really kicked my booty. It was about 10 years ago and this flu really had me out. My brother Tommy lived in the same apartment complex that I did and he came over and took care of me. Instead of the typical chicken noodle he made me some sweet and sour soup that was so good. He stayed with me watching chick flicks and getting me Kleenex when I needed it. He brought me blankets when I was cold and kicked on the fan when I was hot. I would fall asleep and when I woke he was still there. Besides my Mother, my brother Tommy is the best at taking care of sick me. I will never forget that time he nursed me to health. He is the best brother in the world. Being sick is miserable for anyone and when someone you care about is sick there is nothing you want more then to help them feel better. No one knows this more than Kleenex. This season when you purchase certain Kleenex products you will get a code. Head over to Kleenex (or here for our Spanish speakers!) 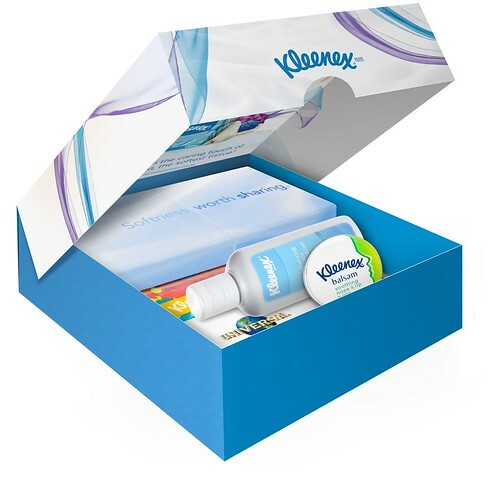 and enter your code to send a Kleenex Care Pack or a Kleenex Share Pack to a loved one. What a great way to send a little TLC this cold and flu season.